The Greenland Piteraq is a violent katabatic wind that usually occurs in autumn and winter. Piteraq is a Greenlandic word, translated it means "what assaulting one", referring to the absolute assault on the senses by a Piteraq. Piteraq weather conditions are characterised by an intense blue sky, a very clear and dry atmosphere and intense sunlight. 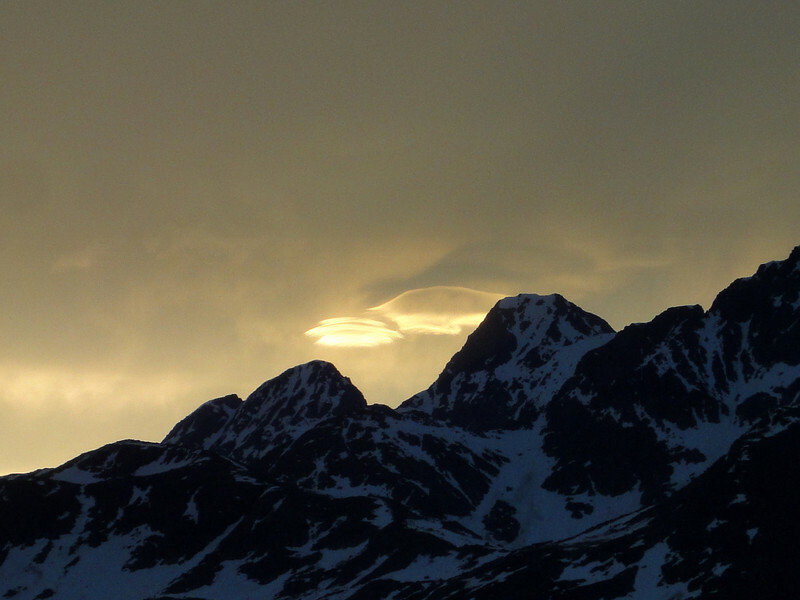 Lenticular clouds perpendicular to the wind direction can often be seen towards the ice cap. 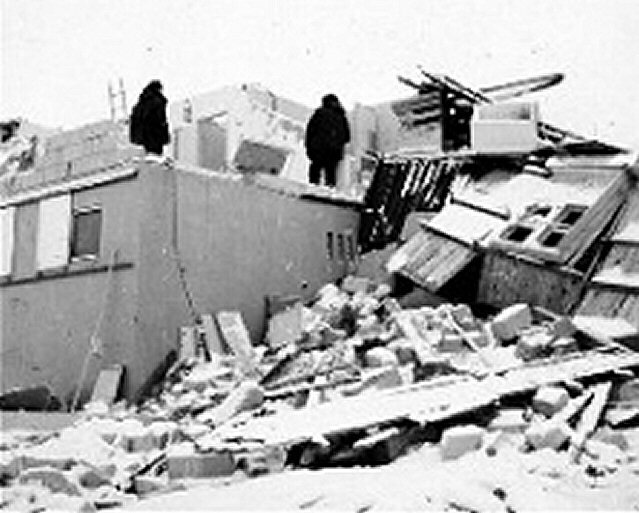 Normally, Piteraq wind speeds reach 100 to 160 kph but on February the 6th, 1970, Tasilaq, where I will be starting my expedition, was hit by a savage Piteraq that registered 324 kph before the instruments were blown away. The temperature was -20°C. The town was utterly destroyed and had to be rebuilt from the ground up. Since that event, the Danish Meterological Institute has issued special Piteraq warnings. In Tasilaq, a flashing light on a mast beside the church is the first indication of what is coming. Warnings are also broadcast by Kalallit Nunaat Radioa, Greenland's National radio station. 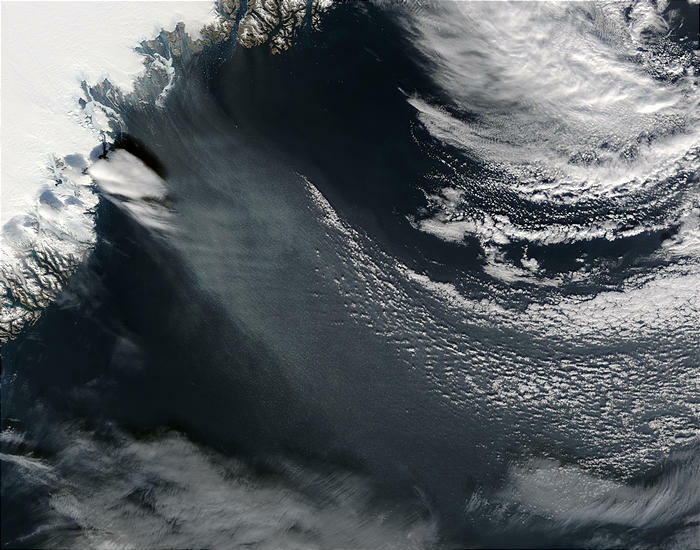 Piteraq winds can even be seen on satellite infra red images as streaks heading out to sea as below. Ammassalik Island is just left of centre at the top of the image.